American carmakers were known for producing wildly futuristic concept cars during the mid-twentieth century space age. Sleek finned coupes with bubble tops and advanced features regularly dazzled car show attendees from coast to coast. Though European makers lagged behind, some notable experiments appeared on continental show stands. Though Giuseppe “Nuccio” Bertone once said, “A large number of the cars which we have shown as prototypes have become production models in the course of time, either as complete vehicles or as the basis of developed versions,” this was not to be the case with his B.A.T. cars. Commisioned by Alfa Romeo to explore the outer reaches of aerodynamic design, carmaker Bertone built a historic series of outrageous B.A.T. prototypes on Alfa Romeo 1900 chassis from 1953 to 1955. While the initials made a handy acronym for a flying mammal the cars resembled, they actually stood for Berlinetta Aerodinamica Tecnica. The 1953 B.A.T. 5 boasted streamlined, finned bodywork that provided a 15% increase in top speed over the production model Alfa it was based on, boasting a coefficient of drag (CD) of .23, an excellent rating to this day. 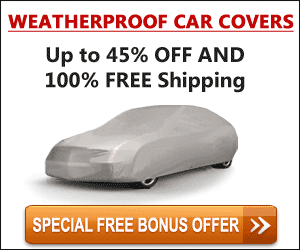 Such slippery aerodynamics enabled the coupe to reach a top speed of 120 MPH with a puny engine rated at just 100 HP. 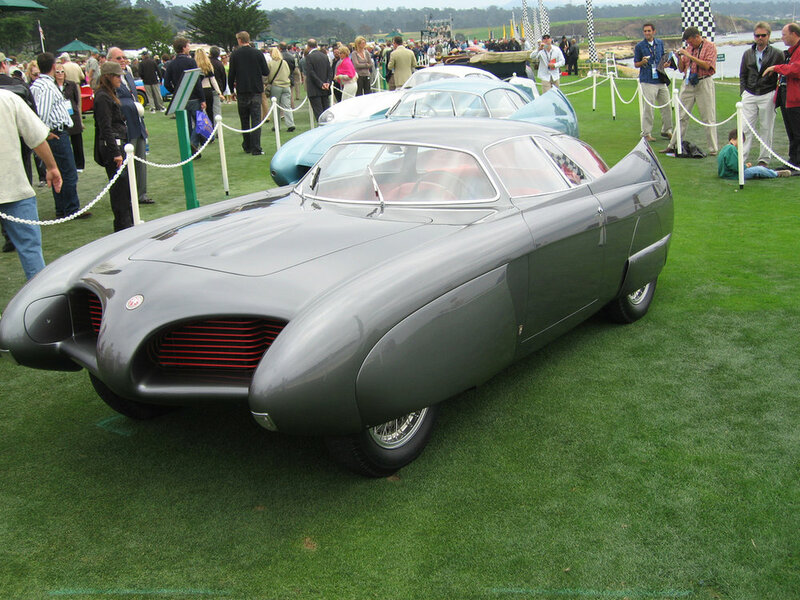 Designed by Franco Scalione, the B.A.T.s were featured at the Turin Auto Shows in 1953, ’54, and ’55. 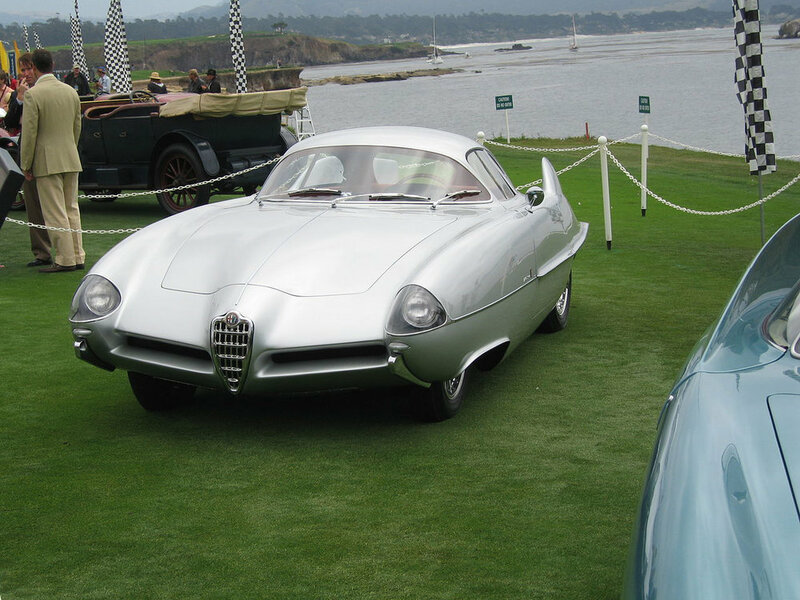 These concept cars exemplified an Italian coachbuilder combining serious aerodynamic research with the dramatic styling of American dream cars. Bertone continued the series with the equally striking B.A.T. 7 featuring prominent rear wings inspired by the designer’s work on aeronautic projects. Debuting at the 1954 Turin show, number 7 boasted an astonishing CD of .19. B.A.T. 9 brought the wild series of concepts down to earth with a car that actually looked producible. Its rear wing had evolved into simple rear fender fins resembling those popular on American cars of the time. Unlike its predecssors, number 9 featured Alfa Romeo’s signature triangular grille. Fifty-three years later, Alfa revisited its B.A.T. series, introducing B.A.T. 11 based on mechanical bits from their 8C Competizione. It feature updated bodywork harkening back to its predecessors from the preceding century and debuted at the 2008 Geneva Auto Show. All three of the original B.A.T.s have been beautifully restored. They make infrequent appearances at premier car shows including Pebble Beach where they still amaze onlookers. Alfa Romeo, concept car, Alfa Romeo B.A.T.